The Walking Dead became the top worldwide trend on Twitter during Sunday night's shocking Episode 9x14. The episode, titled "Scars," told the story of Daryl and Michonne's "X" marks on their backs which turned out to be horrifying and push them to their moral limits. Spoilers for The Walking Dead Episode 9x14 follow. Major spoilers! Season Nine of The Walking Dead was always going to be a pivotal point for AMC's zombie drama. Both Andrew Lincoln and Lauren Cohan exited their roles as Rick Grimes and Maggie Rhee, respectively, before a slew of new cast members were introduced to carry the series. Plus, new showrunner stepped in with Angela Kang taking the reigns from Scott Gimple. The results have been staggeringly positive in terms of quality. Season Nine has been acclaimed by both critics and fans. Now, The Walking Dead has earned itself the number one spot on Twitter's trending list as Michonne was forced to fight children in a devastating post-apocalyptic scenario. "Boom," writes Senior Vice President and Co-Head of Corporate Communications for AMC Networks Inc, Jim Maiella, with a screenshot of the worldwide trend status. The episode was certainly a heavy one as it maneuvered Michonne's battle with kids who were not going to stop fighting her until she or they were dead. 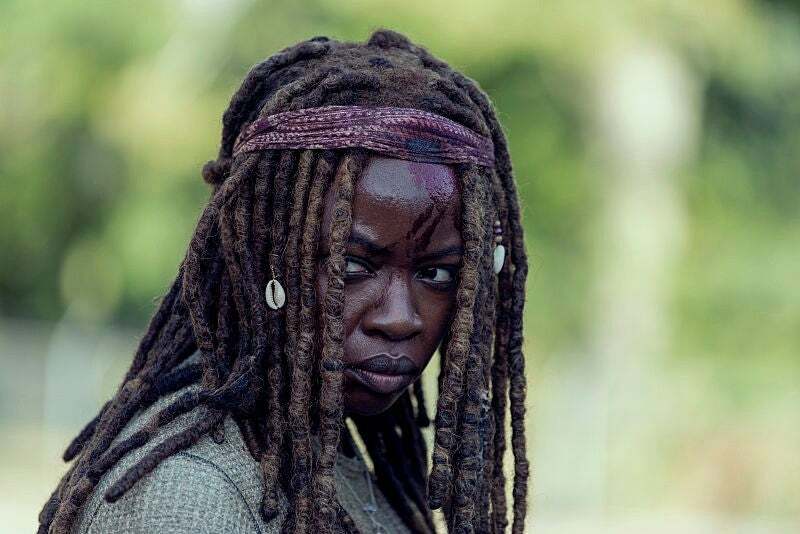 As much of the episode centered around a pregnant Michonne being pushed to her limits, the character's fans came out in droves. Those kids with Jocelyn certainly didn't earn any love from the fans. Negan might still be loathed by much of the fan base but his redemption arc could be on the horizon after his interaction with Michonne in Sunday's episode.